Sandberg stands for quality, sound and exclusivity in the area of bass construction. Holger Stonjek, owner of Sandberg, gets hands on with his basses himself, especially the neck shaping he performs with attention to detail. All basses from Holger are equipped with Glockenklang electronics. All Sandberg employees have many years of experience in bass construction. It is not an exaggeration to say that these basses have an extraordinary quality, inimitable sound and a unique playability. The basses shown here are unfortunately only a small part of the product line of Sandberg basses. We have the possibility to offer each bass player his individual (custom) bass. So, it's worth checking them out and talking to us about your personal bass. The California Series offers traditional body shapes combined with modern electronics. 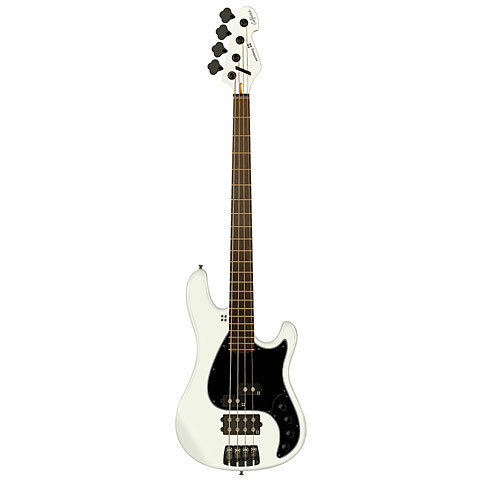 The result is a bass that is unbeatable in terms of quality, sound and playability not only in this price range. The Sandberg company stands for quality, sound and class in the field of bass manufacturing. Holger Stonjek, the owner of Sandberg always remains at the wheel when it comes to building each bass by hand. Especially shaping the necks is his very own passion. Each bass is equipped with Glockenklang electronics and every employee at Sandberg has long term experiences in building bass guitars. It is no exaggeration to claim that these instruments have an extraordinary quality, an uncomparable sound and a unique playability. The bass guitars you'll find in our online shop are only a small selection of Sandberg bass guitars. We do however have the possibility to have a custom made bass built for even the most sophisticated player which makes it absolutely worthwhile testing our product range and talking to our specialists at Musik Produktiv about your personal custom made Sandberg bass guitar. Sandberg is from start to finish quality pure! The neck pocket is optimized and provided with a six point neck connection. The Technical University in Braunschweig was even consulted as to the exact positioning of the neck. The entire electronic system has been designed by Glockenklang and offers numerous possibilities to use the pick ups in either Active or passive mode, a system which even works without a battery installed. The bridge was designed according to the latest guitar building knowledge and provides accurate settings, even the spacing can be changed! Particular attention was devoted to the neck, it has its own profile, weight optimized hardware so as not to let the guitar get top heavy, zero fret conception, a string retainer and last but not least the PLEK process is carried out on Sandberg guitars. The neck and Frets are computer analysed within 0.001 mm, the neck ist then adjusted and the Frets dressed exactly and polished. The result is a stunningly easy playable action ! · Show all articles of the brand Sandberg.